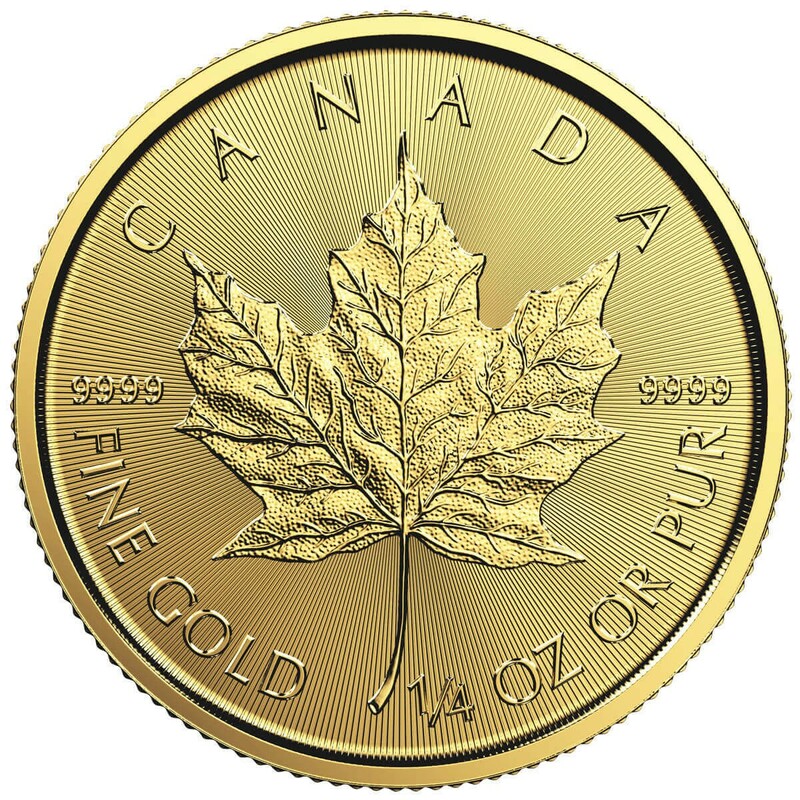 The $10 Gold Maple Leaf is Canada’s 1/4 ounce bullion gold coin. 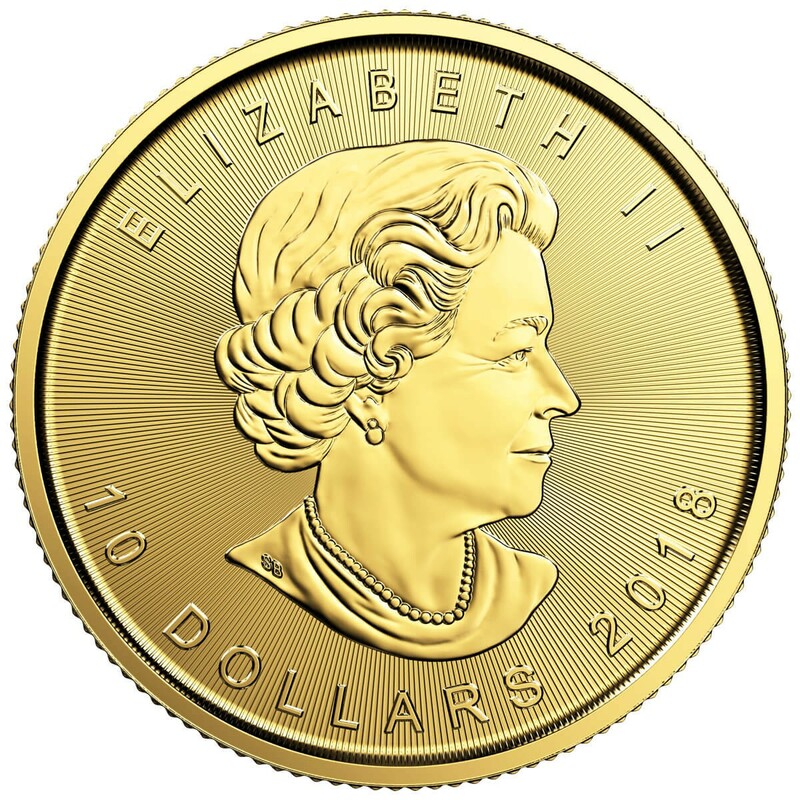 Roughly the size of a nickel, the face features Elizabeth II, common to all coins of the Commonwealth as well as its nominal face value of $10 . 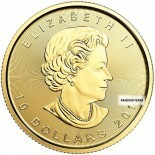 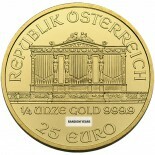 The reverse features the maple leaf and troy weight. 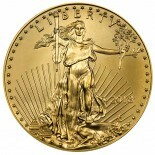 The maple is minted in 99.99% pure gold and was lately updated to include rays emanating from the center of the coin. 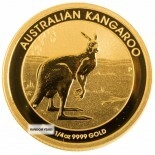 These coins are minted 2018.